Home > Life Hacks > A Kitchen Baking Station is a Must if You LOVE to Bake! 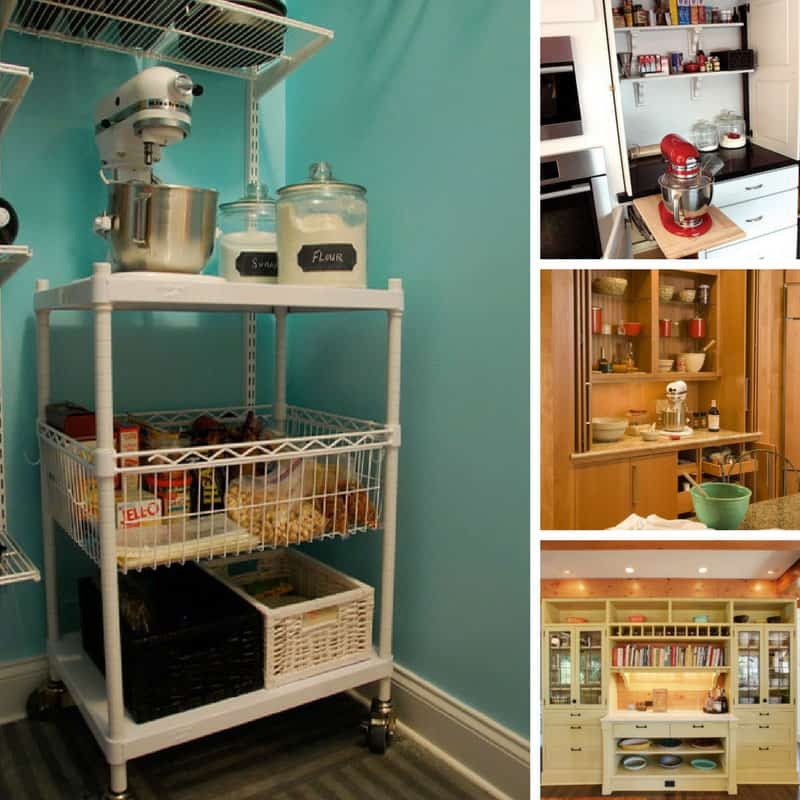 If you love to bake it’s time to put everything you need in one place by creating a kitchen baking station! Organizing your kitchen is not just about decluttering and throwing away the stuff you don’t really need. It’s about making the space really work for you which is why today I’m sharing some inspiration for a kitchen baking station. If you LOVE to bake and you do it regularly then having everything you need in one place, from your stand mixer to your baking utensils your muffin tins and baking trays to your ingredients, just makes doing what you love a whole lot easier. 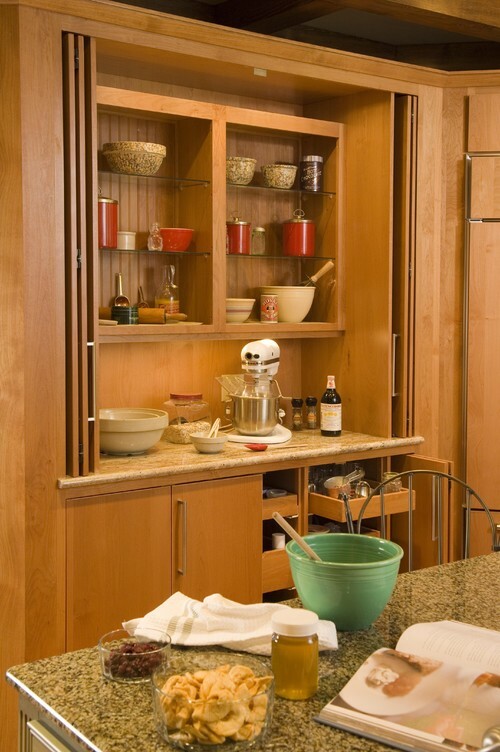 So as you organize your kitchen why not take some time to set up a specific baking station for yourself! Are you ready to take a peek at some other people’s baking areas to get some inspiration on how to set yours up? I love how this kitchen baking cabinet has folding doors so you can work in the space and then close the doors when you’ve finished baking. They’re maximising the storage in the under counter area by using slide out wooden drawers. 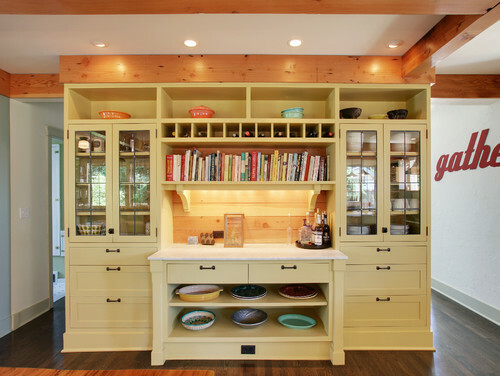 This baking station has a clever mix of wooden shelves and pull out cabinet organizers to maximise space. 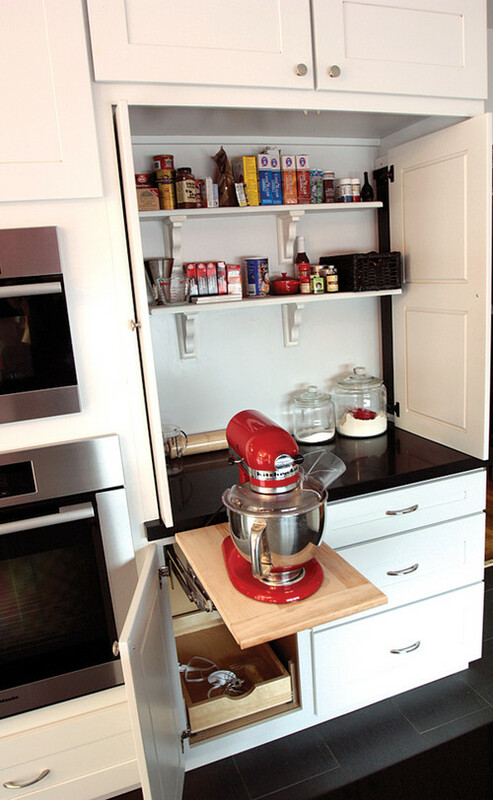 I love the lift up stand mixer shelf that puts your mixer just where you need it for baking then lowers into the cabinet when you’re done! This is like baking station heaven! The marble top is the perfect place for rolling pastry, there’s room for a HUGE collection of books up there on that shelf, and the sunny yellow is sure to make you smile from ear to ear while you bake! Don’t worry if you can’t dedicate a whole cabinet area for your baking supplies, you can create a moveable kitchen baking station instead. 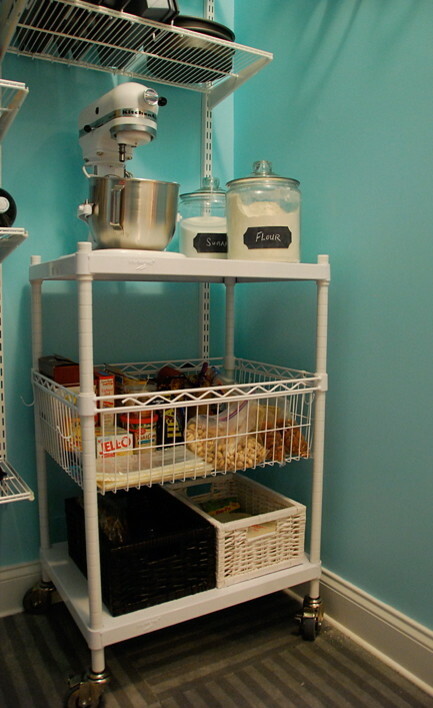 Use a sturdy trolley like this one or even an IKEA Raskog cart and keep it in your pantry until you need it. Store your baking supplies and mixer on a rolling table like this one Storage baskets are perfect for lifting items out from the trolley Flour and sugar can be decanted into large glass bottles Use cute chalkboard labels like this to remember what’s in the jar! Previous PostPrevious How to Organize Your Freezer to Avoid UFOs and Save $$!